Matt Wainwright is constantly sabotaged by the overdramatic movie director in his head. He can't tell his best friend, Tabby, how he really feels about her; he implodes on the JV basketball team; and the only place he feels normal is in Mr. Ellis' English class, discussing the greatest fart scenes in literature and writing poems about pissed-off candy-cane lumberjacks. After a tragic accident, Matt finds himself left on the sidelines, on the verge of spiraling out of control and losing everything that matters to him. For more than 30 years, Edie and Richard Middlestein shared a solid family life together in the suburbs of Chicago. But now things are splintering apart, for one reason, it seems: Edie's enormous girth. She's obsessed with food - thinking about it, eating it - and if she doesn't stop, she won't have much longer to live. When Richard abandons his wife, it is up to the next generation to take control. Robin, their schoolteacher daughter, is determined that her father pay for leaving Edie. Benny, an easy-going, pot-smoking family man, just wants to smooth things over. And Rachelle - a whippet thin perfectionist - is intent on saving her mother-in-law's life, but this task proves even bigger than planning her twin children's spectacular b'nai mitzvah party. Through it all, they wonder: do Edie's devastating choices rest on her shoulders alone? Or are others at fault, too? 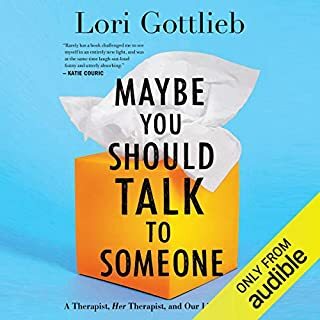 I heard this book reviewed on NPR and was happy to see that it was available on Audible. The NPR review mentioned Attenberg's unflinchingly honest character portrayals and that piqued my interest. During several of the first chapters, I wasn't sure if I really liked the book, or if I was easily delighted by the amazingly accurate portrayal of life on the North side of the Chicago metro area. I'm originally from there, and the detail the author paints on that setting is so realistic, I felt like I was home for the holidays. But as I got to the end of the book, I can confirm that it was the story in its entirety that charmed me. To be sure, I was left wanting so much more. It felt like it ended too soon, I wanted to know so much more about the characters past and present. That is bad news for me, but a credit to the author. Speaking of credits, I usually download really long tomes to get my credit worth in Audible, so this was an usually short book for me. Ringwald did a nice job narrating. 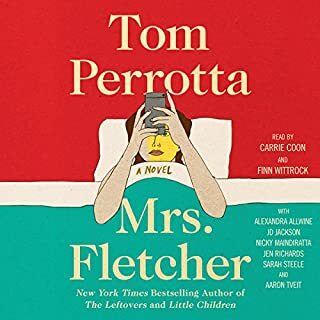 She was a little bit stilted at times, but it did not interfere with my enjoyment of this book and the sound of her voice likely contributed to the overall nostalgia I experienced visiting Superdogs on Milwaukee, Wicker Park, and Polish nail salons in Skokie. Having struggled with weight and also being Jewish, allowed me to really identify with the book. I too remember the Weight Watcher "tips" like removing the center piece of bread from a Big Mac to save calories. I too have been to many Bar/Bar Mitzvah's where the elaborate affair overshadowed what the Bar Mitzvah ceremony was all about. I too know of many dysfunctional families, as a matter of fact, I don't know too many who aren't. With all this identifying, I still couldn't really make a connection to the characters in Attenberg's book. The closest I came was to the protagonist Edie, the one who was eating herself to death. But Edie is an extreme case. Even being diabetic, having to go through surgery after surgery, having her husband Richard leave her, having her children and grandchildren look at her with pity and repulsion, did not deter Edie from even one dish of Chinese food. Edie had an addiction and she just couldn't stop. At times I felt a little nauseous "watching" her eat. There was a moral to the story though, you can't help someone who doesn't want to to be helped. Even though the book hit a nerve, I didn't love the black comedy, I barely liked it. Molly Ringwald did an average narration, maybe if I had read this one instead of listening I would have liked it better. Wonderful story but it was embarrassing to hear Molly Ringwald mispronounce the Jewish words (e.g. "meshugah, b'nai mitzvah, dayenu...") It took away from the book's authenticity. I am surprised the author, director and producer didn't consider those as necessary edits. Her tone was also very flat and I felt that it did a disservice to what was a great story. This well written book isn't for everyone. Not one character is likeable, but the writing is very good and kept me listening to the whole story. Molly Ringwald is an awful reader for this book. All of the Yiddish words, or Jewish expressions, were mispronounced. The rest of the reading was flat. Oy vey! This book was awful! I absolutely hated this book. It was one of the worst books I have ever listened to. I did not connect with any of the characters, and I was completely uninvested in their stories. I seriously could not wait for the book to end. 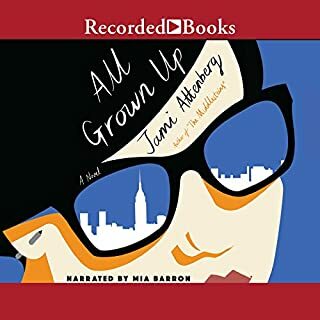 What infuriated me most was that I chose to listen to this book through Audible rather than read it, and Molly Ringwald was beyond unprepared to narrate it. Ms. Ringwald mispronounced almost every one of the Jewish/ethnic words that were scattered throughout the entire book. 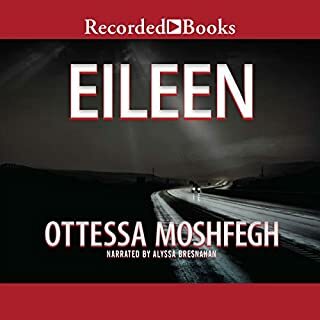 It was unnerving that she cared so little about the authenticity of her performance, and shame on Audible for allowing such a sub-par narration to be finalized. Ms. Ringwald's pronunciation errors pulled me out of the story line rather than enhance it. I am so ready to move on to my next read. It has to be better than this. This book was good. It wasn't great. The story was interesting and entertaining, but never went deep enough. Perhaps that's the point--maybe there's no "there" there with the Middlestein family. They tend to live on the surface, and that's exactly where this narrative stays. 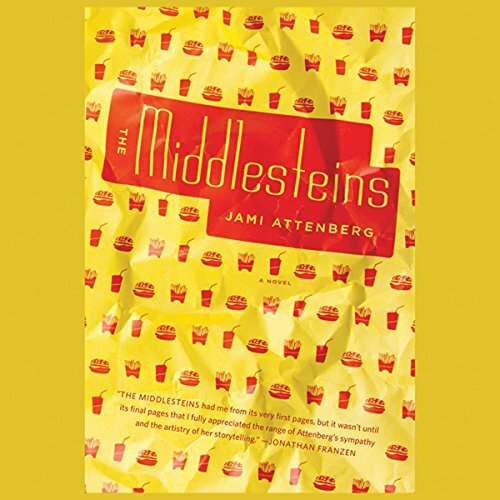 Would you be willing to try another book from Jami Attenberg? Why or why not? Yes, I liked Attenberg's use of modern America's fixations to tell her story--she references iPods, The Black Eyed Peas, So You Think You Can Dance, etc. without sounding frivolous. I would hope she goes more in depth with the characters of her other works. Yes. I'm a fan of Molly Ringwald's 80s movie career, but her narration left a lot to be desired. The accents she does are cringe-worthy at times. Yes. This book would actually make a good film. I bet it's being optioned as we speak. I was so excited about this book, reading the pre-publication praise and summaries. However, once I finished it, I was left wanting more, specifically more insight into the characters. I thought the brief explanation of Edie's childhood where her mom fed her to comfort her was too facile and reductionist as an explanation for her later obesity. It didn't do justice to her as a character to reduce her complete self-destruction through food in that way. She was the most interesting and engaging part of the book, but, like the other charaters, not very well developed. I felt the promise of the book (a comprehensive portrait of a family) was not fullfilled. It was more like a sketch of a family. Not a Jewish American literary masterpiece like Portnoy’s Complaint by Philip Roth nor does it contain the wit of Jewish comedic geniuses such as Woody Allen or Seinfeld, but a still, a good listen. 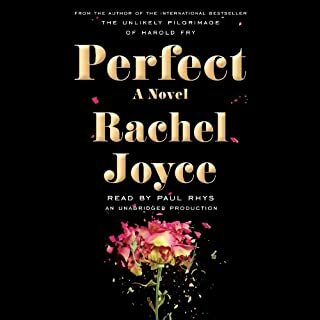 I was moved by the realistic characters in the audio with all their flaws and imperfections. Each character is lovable perhaps because each could rise above their individual condition of being imperfect. I didn’t find this audiobook funny. It’s depressing. I chuckled but barely a few times throughout. So if you are looking for a good laugh, laugh elsewhere. I wouldn’t pass it up though. If you’re a Jewish woman as I am you’ll relate. If addiction runs rampant in your family you will relate. If you’ve witnessed or experienced betrayal or its opposite, loyalty and love, you will relate. I expected a lot more from this book since it got a lot of attention when it was released, but it was an enjoyable listen. Molly Ringwald does an OK job with the narration. Overall, it was a solid 3.5 stars for me. I am giving this book a "3" because it is so readable and relatable. However, I must say that I found myself aligning with Richard, the anti-hero in this match-up. Or not? Yes, Edie is sadly victimized, but her corpulent prison and resultant dysfunction are of her own making, and could have been fixed with some good therapy or 12-Step, Weight Watcher's, or gastric bypass, which (sigh) was not even mentioned. Yes, I can suspend disbelief, even tolerate the retrograde technology which precluded giving a nod to bariatric surgery. It did bother me, though, but I know that with successful gastric bypass there would not even be a story. Or at least not such a polarized one anyway. Edie could have had the surgery but failed in adjusting her eating habits to accommodate and thus her issues would have persisted and she would have continued to drive Richard terminally nuts. But the surgery would have surely fixed her diabetes. Doesn't matter, there were some terrific story lines and some excellent dialogue, so why complain, and why should it even matter that the book is just not at the depth of a Franzen ("The Corrections") or a Tropper ("One Last Thing Before I Go")? 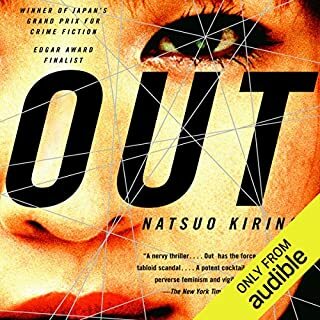 I use audiobooks to a large extent for multitasking, and some of the gentler ones as sleep aids and for me this book sufficed nicely.